The award winning NYC Mariachi group Flor de Toloaches performs Thursday night at Purdue University. The Purdue Convocations event starts at 7:30pm at the Purdue Memorial Ballrooms. Flor de Toloaches mix traditional Mexican music with pop tunes, and their own originals. championed by Paul McCartney, Questlove, and Café Tacvba, they hail from diverse cultural backgrounds such as Mexico, Puerto Rico, Dominican Republic, Cuba, Australia, Colombia, Germany, Italy and the United States. WBAA's John Clare spoke with founder Mireya Ramos about their tour, traditions, insprirations, and what's ahead in 2019. A phone interview with Mireya Ramos of Flor de Toloaches about their Purdue Convos performance. There's more information here. A pre-show meetup is at 6:30pm at the PMU Ballrooms. 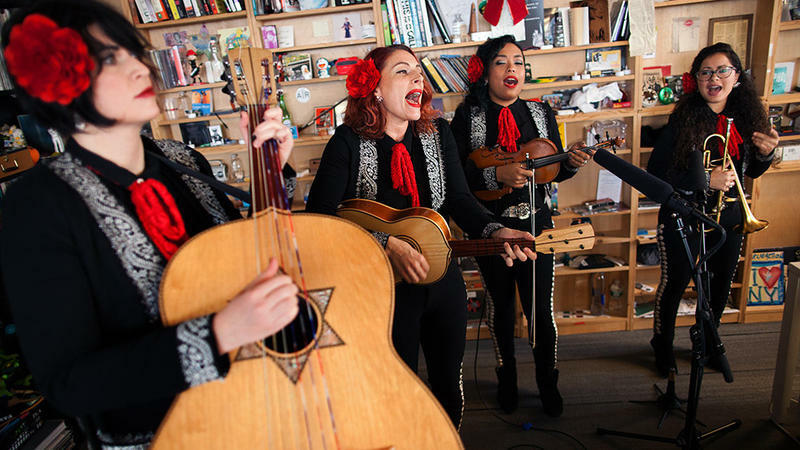 Mariachi Flor de Toloache's 2014 self-titled debut album earned a Latin Grammy nomination in the Best Ranchera category — quite an accomplishment, given that the category celebrates an incredibly long tradition of Mexican music. 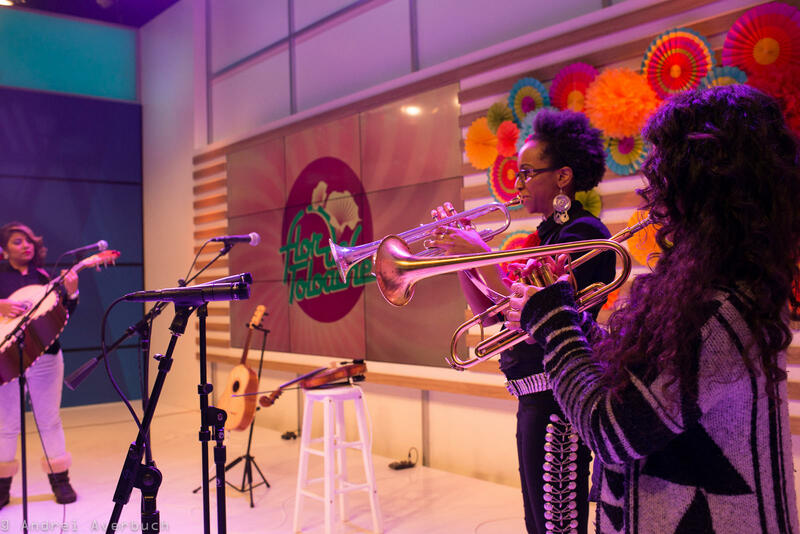 But it was no fluke: The group's members come by their mariachi skills honestly and with endless practice, while still looking for ways to take chances.